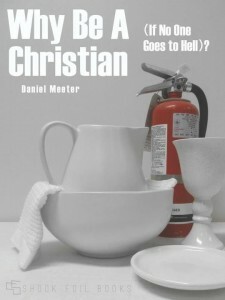 Interview with Daniel Meeter, author of “Why be a Christian (If No One Goes to Hell)? So the basic gist is that Mike Morrell of Speakeasy book blogging sent me a copy of Daniel Meeters' Why Be Christian (If No One Goes to Hell)? from Shook Foil Press and below I interview the author about the book. Neato. Note: Disclosure of Material Connection: I received this book free from the author and/or publisher through the Speakeasy blogging book review network.